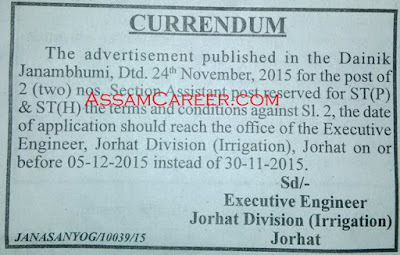 O/o Executive Engineer, Jorhat Division Irrigation. 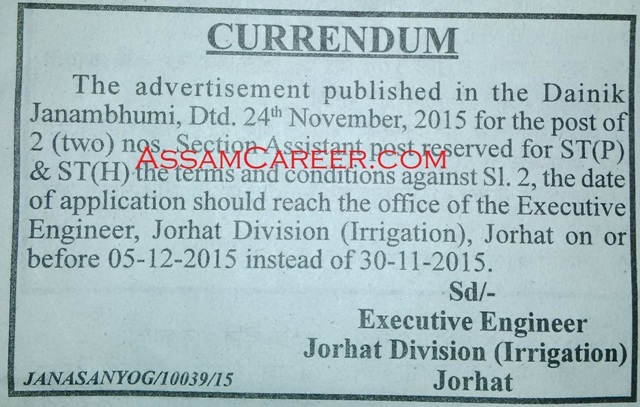 Applications are invited from Indian citizen in the prescribed Standard Form as published in Assam Gazette, Part-IX, from intending candidates for filling up of the following Grade-III posts under the office of the Executive Engineer, Jorhat Division (Irrigation), Jorhat. 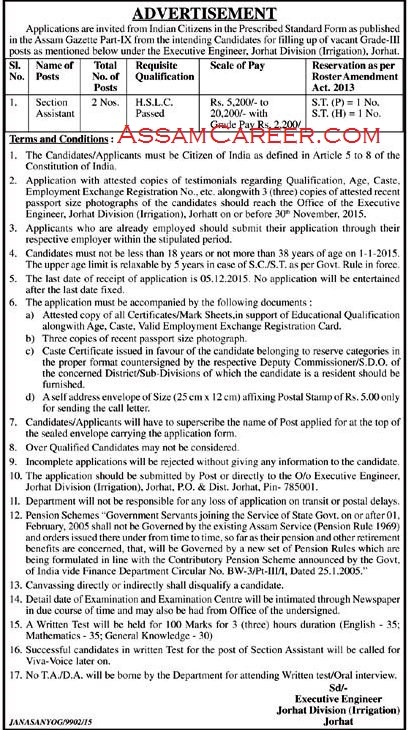 Age: 18 to 38 years as on 1-1-2015. The upper age limit is relaxable by 5 years in case of SC/ST as per Govt. Rule in force.